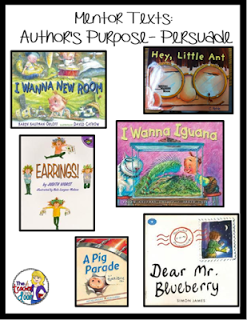 Author’s purpose can be so important for kids to figure out as readers. 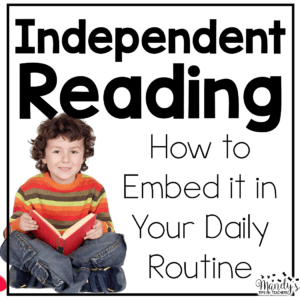 It can help them determine the author’s point of view and can also make connections to the writing process. 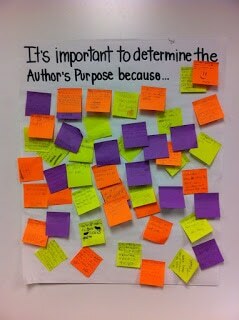 It can help them as writers to determine THEIR own purpose for writing (other than the teacher told me to! LOL!). 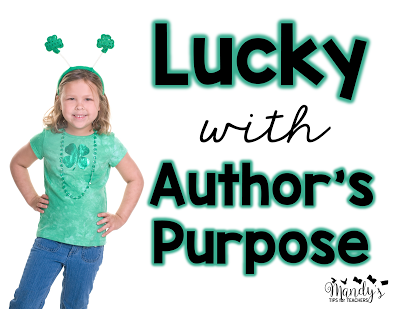 I have rounded up some great author’s purpose ideas and FREEBIES! Please note, that many of the ideas below are from OTHER blogs. 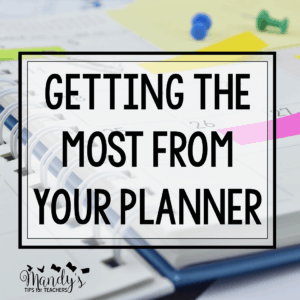 Please do NOT pin those pictures from this post. Click on the picture and open the original post and pin from there. This gives credit to the original creator, please! 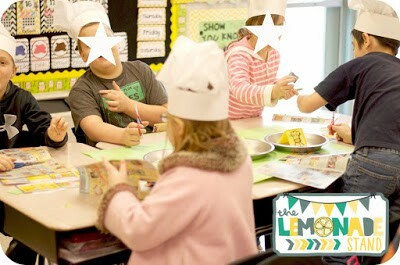 Love this idea from The Lemonade Stand Teachers! Students cut apart a book order form and sorted the author’s purpose for writing each book in a pie tin before gluing it down on construction paper. The chef hats are an adorable touch! 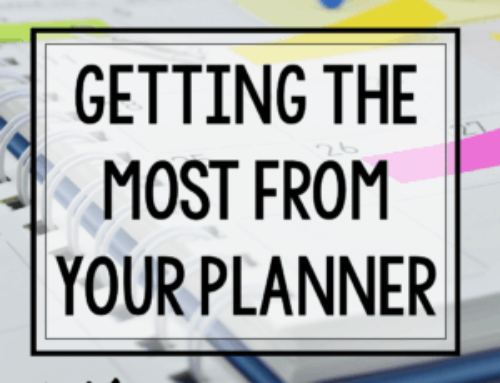 LOVE this post from the Teacher Next Door on the Upper Elementary Snapshots collaborative blog! 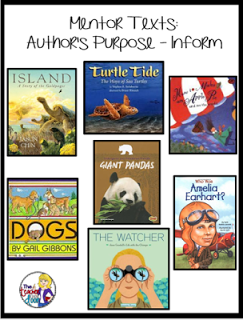 She included a list of mentor texts to model each author’s purpose for PIE! Yahoo! 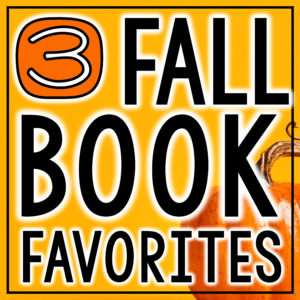 No more hunting for books! 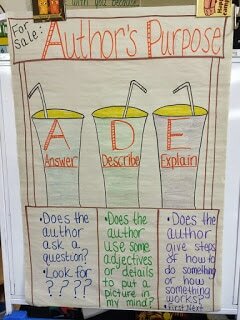 I love this student generated anchor chart by Katie Klohn at Miss Klohn’s Classroom. It sums up exactly WHY we need to teach author’s purpose nicely! 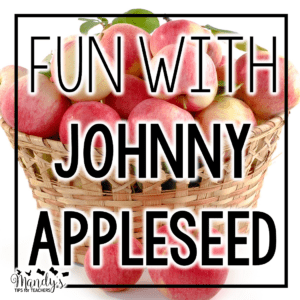 Do you like to sing with your kids? 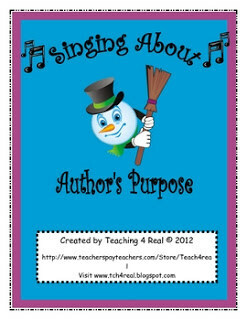 Love this FREE author’s purpose song by Pam at Teaching 4 Real! 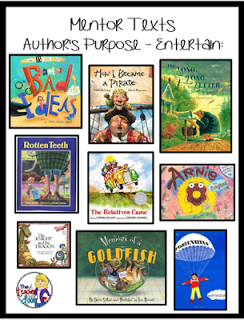 There is a TON of stuff out there to teach author’s purpose as persuade, inform, or entertain. 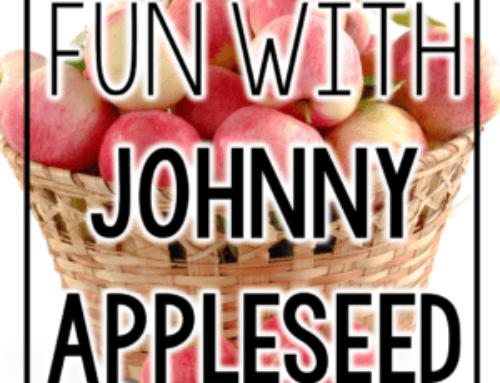 I know with the Common Core Standards in second grade it is stated a bit differently. 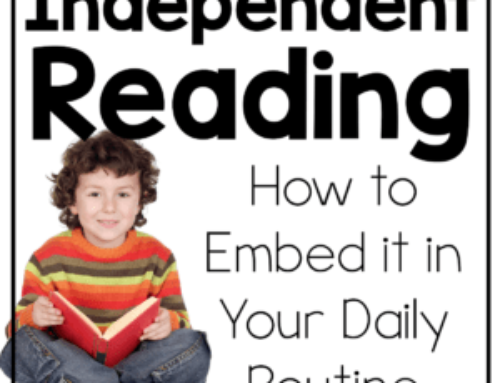 CCSS.ELA-LITERACY.RI.2.6- Identify the main purpose of a text, including what the author wants to answer, explain, or describe. It is MUCH harder to find materials to meet this standard. I really liked this anchor chart from Camping Out in Second Grade. I think it summarized all the purposes nicely. 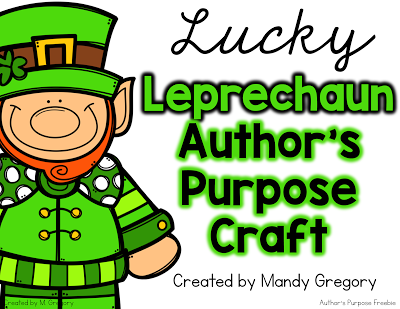 I created this little Saint Patrick’s Day freebie for you guys! 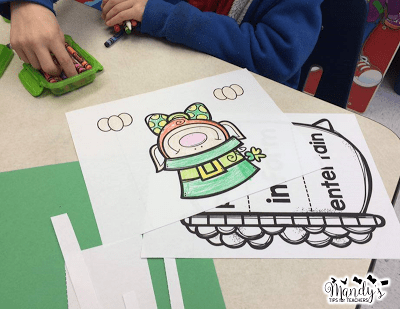 Students create a cute little leprechaun peek over and pot of gold and sort to determine author’s purpose. 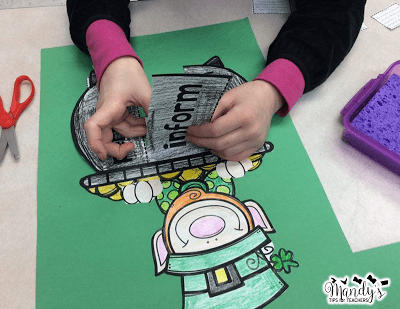 Students can cut and color the leprechaun for a fun seasonal twist. However, they are still practicing academics! I included TWO versions. One is pictured above, and practices author’s purpose with persuade, inform, and entertain. 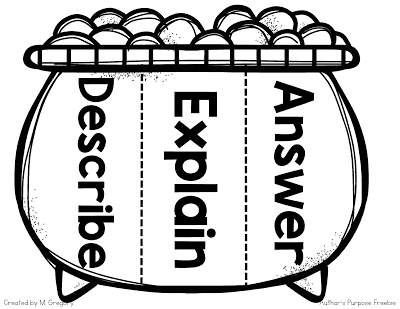 I included a second version to meet the second grade CCS for describe, explain, and answer.